Let me say that Spaghetti Carbonara has always seemed pretty nasty to me. If I am honest, I have to say that I blame the Food Network for this. It's not fair, I know. I have no evidence. It just seems like a recipe that they would try to make faster, lighter, and/or with more pizzazz and which would end up clumpy and bland. Why not blame The Olive Garden? I do not know. Maybe because I already blame them for putting meatballs in spaghetti and Chef Boyardee is already taking the heat for serving meals in a can. Maybe I feel the blame should be shared. Anyway, it turns out that when you make it correctly, Spaghetti Carbonara can actually be – sorry, I cannot stop myself from saying this word– delightful. n.b., if you work with Italians, do not bring spaghetti leftovers of any kind into work to reheat in the microwave. Just don't. 2. Cut the pancetta or bacon into strips not quite 1/4-inch wide. 3. Lightly mash the garlic with a knife handle, enough to split the cloves and loosen the skin; discard the skin. Place the garlic and olive oil in a skillet and turn the heat to medium-high. When the garlic turns a deep gold, about 2 minutes, remove it and discard. 4. Place the strips of pancetta or bacon in the pan and cook until they just begin to crisp at the edges, stirring often, about 5 minutes. Add the wine and let it bubble away for 1 to 2 minutes, then turn the heat off. 5. Add the spaghetti to the boiling water, and cook until al dente, about 8 to 10 minutes. Drain. 6. Break the eggs into the serving bowl in which you'll be tossing the pasta. Beat them lightly with a fork, then add the Romano and Parmigiano-Reggiano, a liberal grinding of pepper and the chopped parsley. Mix thoroughly. 7. Add the spaghetti to the bowl and toss rapidly, coating the strands well. Briefly reheat the pancetta or bacon over high heat, turn the entire contents into the bowl of spaghetti and toss thoroughly again. Serve immediately. In case you have missed all the recent news, stealing art is rather in vogue here in Switzerland. As is finding it back in weird places. It seems that a country with finger shields on its ATMs would have some serious security on its works of art, but alas, they just cannot keep their paintings on the walls. In just the past year: 1. A Ferdinand Hodler painting which had been reported stolen earlier in the year (and had been missing since 2006) was mysteriously found in the archives of a local cultural foundation. 2. Masked men with guns stole a Cezanne, Monet, a Degas, and a Van Gogh from a museum in Zurich. The Monet and the van Gogh were later recovered in the parking lot of a Zurich hospital. 3. 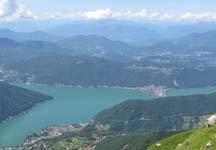 Two Picassos were stolen from a museum outside Zurich. Still missing. Check out the list of missing art on this weird police website. We count at least three people who weren't there when the photo was taken. And a goodly number of people who wish they weren't. I wish the quality were better so you could see how truly weird this is. The tall but not small Starbucks coffee is essential to the rest of my story. Otherwise, you would be confused about why I would be actually paying to use the bathroom in Zurich. Even in spite of the coffee, I myself was perplexed by my willingness to spend my only remaining franc on a train station bathroom. But sometimes these things happen, even to the strongest among us. 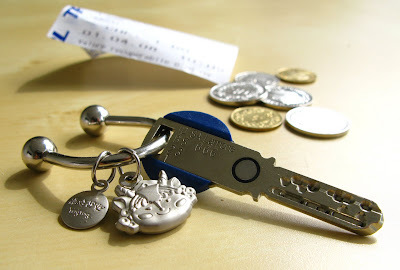 So anyway, it was not without some amount of ambivalence that I withdrew the coin from my wallet. Perhaps my fingers, channelling this indecision, gave a miniscule jerk as I reached out to put the coin into the slot. Perhaps my inexperience with public bathrooms kept me from knowing some essential secrets to pay-as-you-go WCs. Perhaps the slot was actually jammed and it was not my fault. Whatever the case, when I tried to put it in, the coin reissued through the air back toward me. My relief was momentary, interrupted by the sight of it hitting my shoe and then rolling, slowly, tauntingly, tragically, under the stall and out of sight. I suppose I have felt greater and more important despair at other times in my life, but that did not come to mind then. Instead, it seemed all the unfairness of life had been encapsulated into a freak moment. I might have kicked something had I full range of movement. It really felt like someone was laughing at me, but I think it was just myself. By now you're all thinking I'm the biggest Germanophile in the world, but let me reassure you I am almost done rhapsodizing about Germany (in fact my "Swiss Ms. und Deutschland" wall is almost complete). I will go back to all things Swiss soon enough. But first I must tell you, in case you have not heard, about a special sausage called the Nürnberger. 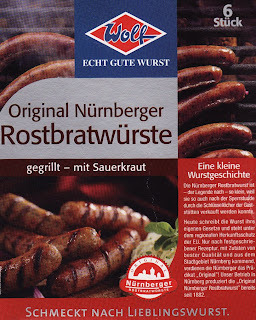 My first encounter with Nürnberger wurste was in college at the Kristkindl Markt in Nürnberg. I'm still surprised that I even ordered any, meat-suspicious as I was at that time. But I did and and it was, as they say, a revelation. It is a perfectly balanced sandwich – small sausages lined up neatly with just enough crusty roll (though sometimes the ends stick out and you have to eat them first) – and perfectly portable. Add a bit of mustard and you have a gateway sandwich that may have you eating Weißwurst a few years down the road, in spite of carefully-held convictions. It is a tribute to their tastiness that even the vacuum-packed shelf version for tourists that I brought home with me, which looked like astronaut food when we opened it, tasted good. And, happily, there is a legend attached to these small sausages. Who could tell it better than the box? : Legend has it the the Nürnberger is so small simply because in this way, it could still be sold after the beginning of the curfew hour – through the keyholes of restaurants. 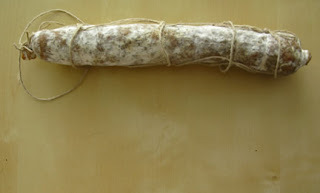 Today the sausage makes its own laws and is under the EU's regional protection of origin. Made only following a strict recipe, with ingredients of the best quality and from the Nürnberg metropolitan region, the Nürnberger Rostbratwurst have earned the distinction "Original"! All good as long as the sausage keep its laws off my body! I woke up this morning with this song in my head. I think my subconscious wants to go back to Bavaria. Anyway, you don't need to know any Bavarian German to enjoy this video. You don't need to know any Rammstein either, but it helps. Special thanks to my best biotech buddy for catching me up on German video culture last week. My Munich buddies and I packed into the Kunsthalle to see the Mark Rothko exhibit last week with all kinds of folk eager to catch the show in its last weeks. After a read through his biography (beware the surprise ending) we took a stroll through a string of galleries which nicely traced his progression from representative scenes to the abstract color forms that we all know and love (and which, shame on me for saying so, make nice greeting cards). Once we were into the color forms ("Multiforms" sayeth my flyer) section of the gallery, there was no going back – maybe this is how Rothko felt – we were stuck in feeling-land, moving from mood to mood with a decreasing number descriptive titles to light our way. As we moved into the tall room with his works of consuming proportion, I started to feel as fuzzy as the edges of his paintings. I missed it, but somewhere in the exhibition, Frau B. told me, Rothko was quoted as saying that his paintings should ideally be viewed individually in an isolated places, as a religious encounter. If his art is an experience of this sort, it then seems strange to bombard an audience with a hundred experiences in short succession. Museums and galleries are the not in the business of spiritual experience, I realize, but the disconnect bothered me. Future museum curators take note! The (this) common person cannot handle so much experience in one afternoon and likes to follow the artist's instructions. The timing of a recent NY Times article (Munich Redux, 13 April) was perfect, just in time to stir up a debate among my hosts about Munich's supposed coolness. The author knew he might be touching a nerve: "For plenty of Germans, especially up north, the contention that Munich is the place to be could verge on sacrilege." But does he know Germany better than the Germans? In my (also non-German) opinion, he seemed to be interested in Munich mostly for how it was not Berlin, where he currently lives. I guess we all must evaluate new things in relation to what we know. But with all of our diverse experiences, how do we come to a consensus about whether something is worthy or not? Hmm... I think I stumbled on a philosophical question for the ages and, although Plato would probably have something to say about this, I've been away from college too long to remember what. In any case, I think I would need a better definition of what "be" is to determine whether it is the place for it. But on to what we do know. Both the article and my hosts made some interesting observations, so I hereby submit a few of them to you for your personal consideration. I decided not to mark them "pro" and "con" since, really, it's all relative. 1. "Really, because it's so conservative, you can do what you want." 1. The average age of Munich residents never dips below 60. 2. Clean. Excellent public transport. Conveniently near the Alps. 2. Deck shoes are in (yes, the kind your dad used to wear in 1987). 3. Fur-clad ladies of leisure. 3. Middle Eastern sheiks come to Munich to do their shopping. Seriously. 4. High-tech economy + impressive art + concerts = fun for all. 4. Be sure to catch Neil Diamond, Kiss, Celine Dion, Billy Idol, and Judas Priest this summer. 5. Traditional meaty specialties around every corner; cutting-edge new restaurants with tables hanging from the ceiling nearby when you need a break from them. 5. Going out requires at minimum one item of Lacoste. I apologize if anyone was still hovering out there, hoping to pull a stealth bid at the last moment. But I thank you all for your participation in this inaugural round of HMDIC? I'm not sure what I would have done if no one had guessed. Thank you for saving me from that awkward internal conversation. I admit that regular blog readers were at a disadvantage in this challenge, no doubt bearing in mind our fraught relationship with the dollar, and assuming that we would never purchase such an expensive sausage. This would be a correct assumption. However, this sausage was actually left intact at our home after a party. (I am not exaggerating when I say that the cost of the meats and cheeses brought to the party made me gasp. I may have blushed and then blushed for blushing, but I don't think anyone saw me.) So I say it's fair game for the game. The winner, therefore, is Swiss MIL with the guess of $20. The exchange rate is just about 1:1 at the moment, so this guess was only about 1 CHF off. Congratulations, Swiss MIL! Since you've already disclosed your address to me in the past, I will be sending you something very exciting shortly. Maybe I will even include a bit of chocolate. Fi would be the runner up, with her guess of R120 (or 15.42 CHF). Bakgat! Nice guesswork, all! Program note: In order to be fair to early guessers, I have decided to remove the "without going over" clause in the rules, classic though it may be. Personal note: It's about time to visit "the world city with a heart" once again, so I will be taking a brief hiatus to find new objects of fascination, drink beer that is not pilsner, and irritate friends with my unemployed energy until they put me back on the train to Switzerland. 1. I will post a photo of a recently purchased grocery item along with any necessary explanation. 3. I will dramatically reveal the astounding cost of this item and promise to send a real postcard (postage value: 1.80 CHF) to the winner (should you wish to disclose your address). The sky is gloomy today and I find myself without anything to say to the blogosphere (or the blogostan, if you prefer). But don't worry. I'm not worried. Something similar happened a few months into being married and it ended up fine. 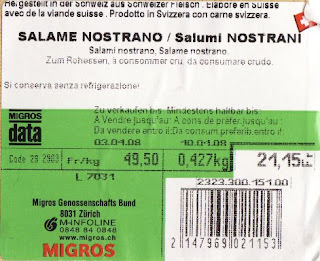 One night at dinner I looked at Swiss Mr. across the table and thought, "I have nothing to say to you that I have not already said. I have nothing to tell you. We will die of boredom together." Instead of throwing ourselves out the window or committing hara-kiri together, we went on with life and tried to read the newspaper more. Indeed, this weird phase ended soon enough – a few weeks later we were chatting it up about everything and nothing, just like the good old days. And even now we stumble, once in a while, upon a story we've never told each other (or already forgotten, which is just as good). Recent such stories include a brief summary of the rise and fall of PABTOT and one about the secret mass burial of baby trees in the middle of a forest. So again sensing the need for moderation, I encourage everyone to avoid dramatic declarations or panicked conclusions. If we will just have a bit of patience, things will work themselves out. As my high school journalism teacher pointed out in all situations of memory, idea, and inspiration loss, "if you miss the train, just stand by the tracks and it will come back." And we're in luck, my friends, because I'm in Switzerland, home to the most timely trains in the world. 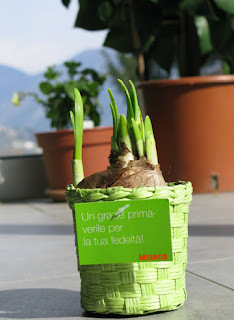 You have to hand it to Migros – they know how to make their shoppers happy. So delighted was I by this sweet little basket, I hardly even thought about all the things for which I must have overpaid throughout the year to make this nice spring gift possible. Can anyone tell what kind of bulb it is? Adolescenti: un problema o una risorsa? This interesting little cartoon was included on a flyer from the local Partito Socialista for a conference entitled "Adolescents: A problem or a resource for the collective?" As a founding member of PABTOT (People Against the Bad Treatment of Teens) and its later, more grammatically correct iteration, PAITOT (People Against the Ill Treatment of Teens), you can reasonably guess my personal stance. I recently did some research (of the most scholarly kind) on the topic of Romance languages. If you're interested in such things, check out the fascinating Table of Lexical Similarities at Orbis Latinus. You'll see that all modern romance languages seem to share at least 71% of their features. French and Italian share a surprising 89% while Spanish and Italian share 82% and French and Spanish share only 75%. This at least explains my sudden ability to understand French. Not sure if this gives me an excuse for lack of Italian fluency yet. Latin may be dead, but it took a impressively long time in dying. (At least according to Orbis Latinus) vulgar Latin evolved into various regional romance languages and then further changed as classical Latin was added to make it sound more prestigious. Apparently people have always added Latin to what they're saying to sound more impressive! reflection of the metal balls. My life would then be an open book to you. 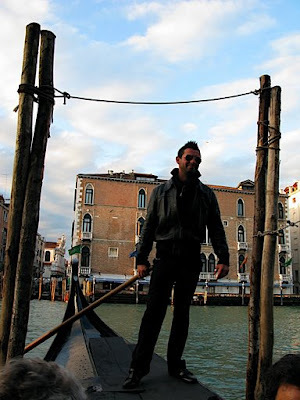 The gondolier is a picturesque rascal for all he wears no satin harness, no plumed bonnet, no silken tights. His attitude is stately; he is lithe and supple; all his movements are full of grace. When his long canoe and his fine figure, towering from its high perch on the stern, are cut against the evening sky, they make a picture that is very novel and striking to a foreign eye.